Thought this might be of interest. I caught this one in the last 24 hours in Columbus GA. 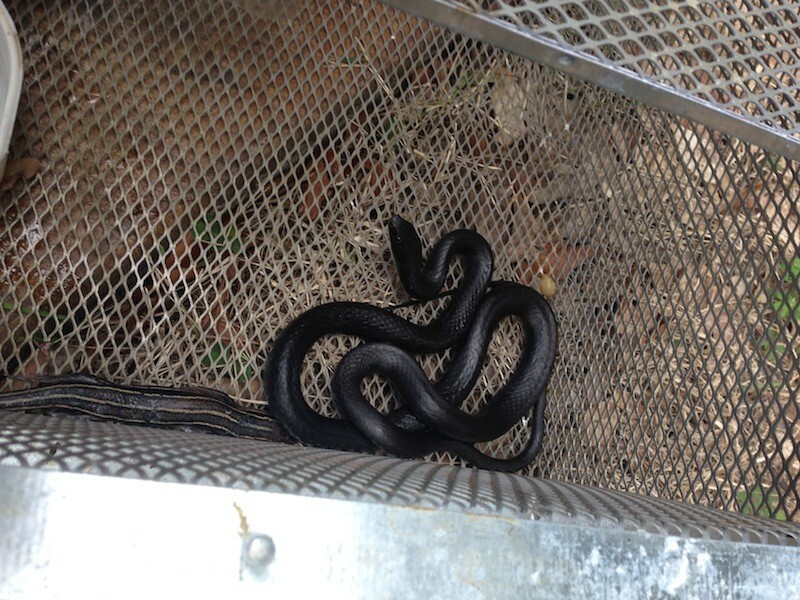 I suspect it is a Southern Black Racer and not a Coachwhip. Yes there is another critter that crawled into the trap in the photo. I am using the SNAKE LURE purchased last year. It has taken over 3 weeks to catch a snake. Just this weekend we pulled a baby racer out of the pool and it looked just like in your SNAKE BOOK. A guest noticed what I think was another racer near the pool some 50 yards from the trap. I guess they are getting active again. I let him go. I am trying to catch the bad boys to rid them from my pool area and to proof our search dogs off of them.